Late on the night of May 16, 1943, Wing Commander Guy Gibson led 617 Squadron of the Royal Air Force on a mission code-named Operation Chastise—an audacious bombing raid across the English Channel. Their aim? Destroy three dams in the Ruhr Valley, the industrial heartland of Germany. The dams were fiercely protected. Torpedo nets in the water prevented underwater attacks, leaving air attack the only option. But anti-aircraft guns stood ready to wreak havoc on any enemy bombers daring enough to attempt an approach. 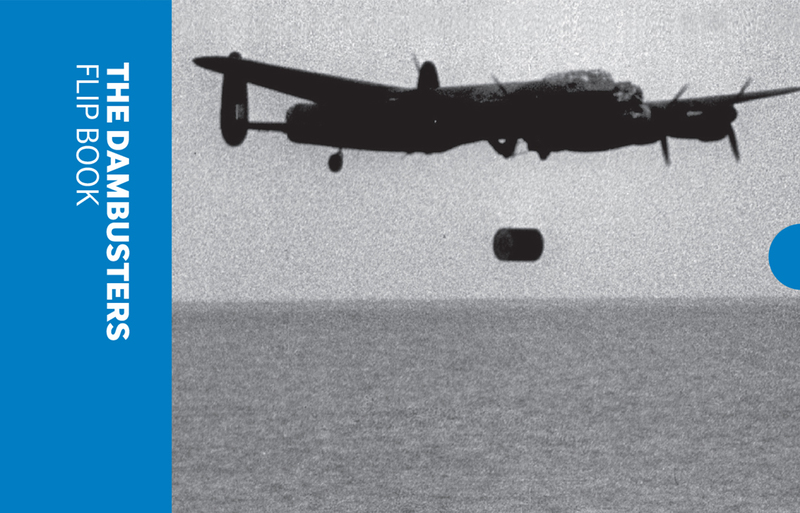 What the Germans didn’t know, however, was that 617 Squadron had a secret weapon—the “bouncing bomb”—and that it would be the difference maker in this attack. ​Using rarely seen archival footage from Imperial War Museums’ unique collection, this flip book recreates the work that went into this raid, enabling readers to watch, frame by frame, as RAF pilots attempted to perfect their technique for dropping the bouncing bomb and getting it to detonate right on its target.